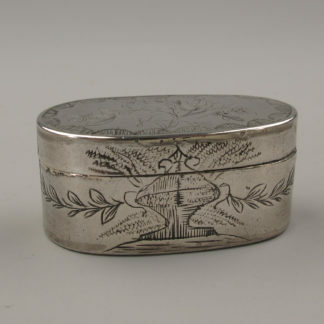 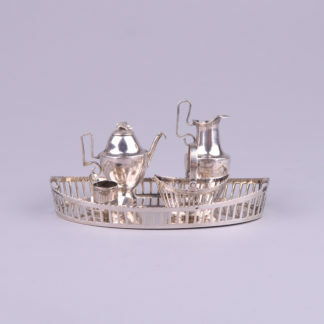 Home / Shop / Silverware / Silver Boxes / Silver Snuff or Pill Box, Belgium 19th Century. 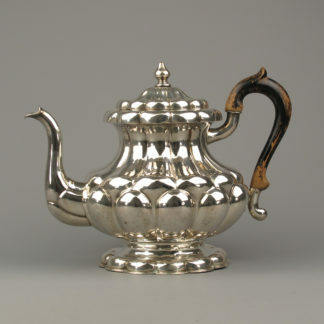 Nicely engraved with floral decorations. 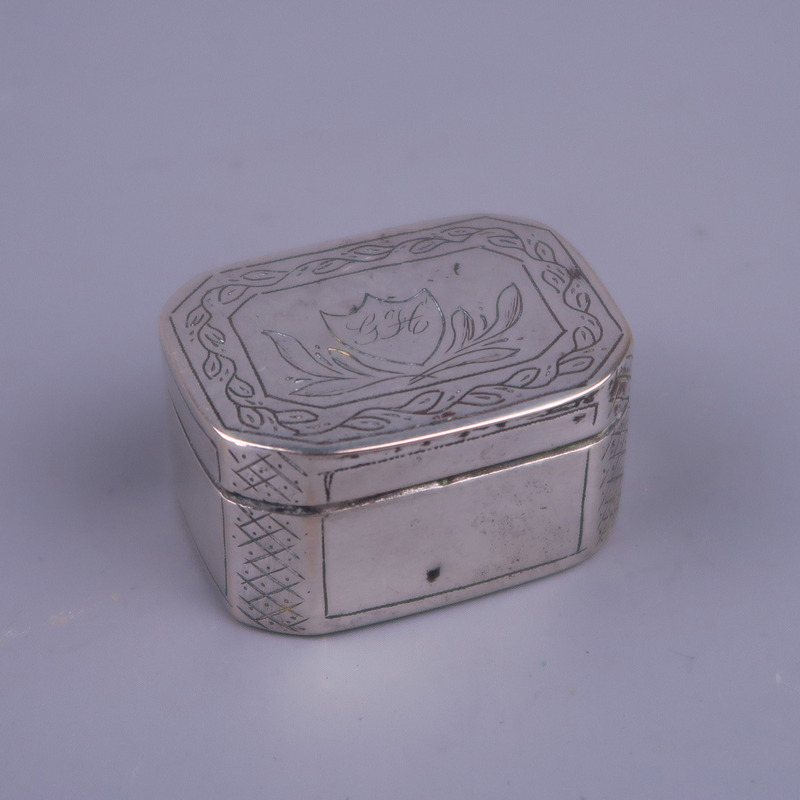 On the lid a shield with engraved initials G H.
The box measures 3.5 cm x 2,9 cm and 1.8 cm high.